April's Little Family: Where Does The Time Go? It sure does fly by doesn't!? How do I get to Thistown?? you are so right. where does it go? So darling. I have to hide under my bed now, I can barely stand how fast time passes for my little ones without seeing others' adorable babies grow bigger. 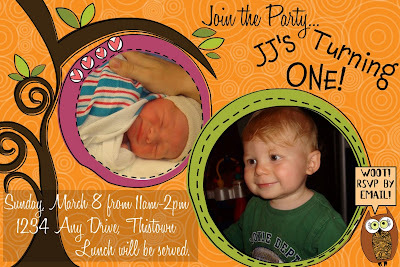 I love his little invite! It is adorable. Where did you make it?